The key missing ingredient in responsive web design has been a native way for browsers to deliver images tailored to a user's device. Consequently, sites often have delivered large images to all browsers, making pages load slowly (on mobile devices especially) and eating into mobile user's data plan quotas. It has limited artistic control of our sites across devices as well. 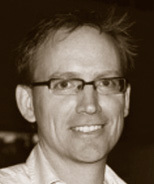 Bruce Hyslop began developing for the Web in 1997 and focuses on front-end technical architecture, development, usability, accessibility, and advocating best practices. He is an independent developer and consultant to agencies, start-ups, and other companies. Bruce is the lead author of HTML and CSS: Visual QuickStart Guide, Eighth Edition and HTML5 and CSS3: Visual QuickStart Guide, Seventh Edition , and the sole author of The HTML Pocket Guide , all for Peachpit Press. He also has taught front-end courses at UCLA (undergrad) and UCLA Extension, and occasionally speaks on matters regarding front-end development.